"She’s actually super spunky now, which is pretty crazy." Ruthie was found as a stray living on the streets in Abilene, Texas, and was taken to a local shelter. 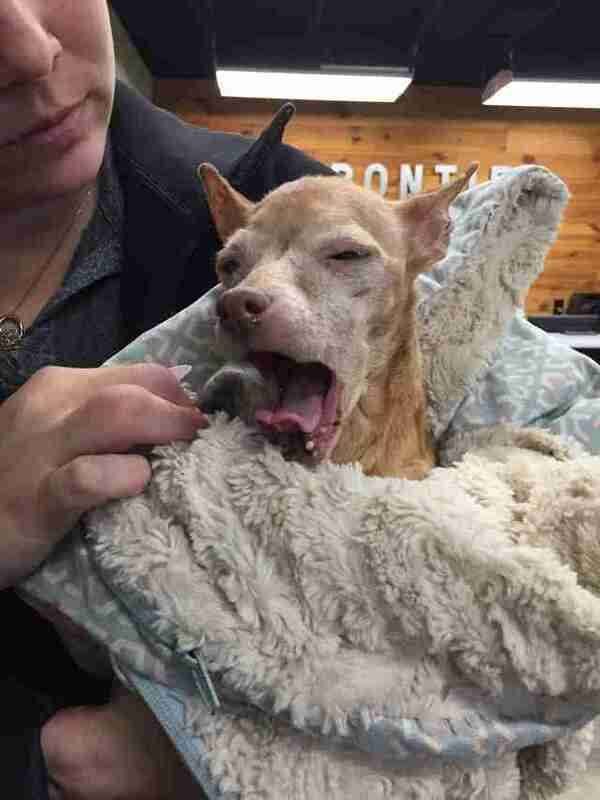 The 16-year-old Chihuahua mix was in bad shape when she first arrived, and it didn’t seem like she was going to make it. 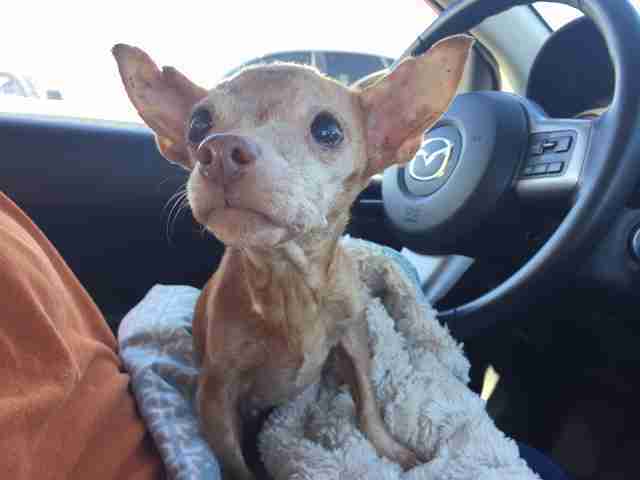 Ruthie was severely underweight and flea-ridden, and was suffering from an eye infection, skin infections and gum disease. The shelter kept her isolated because she was having a hard time dealing with shelter life on top of her health issues, and they didn't want her to be any more stressed out than she already was. No one seemed to have very much faith that Ruthie would pull through — until Forgotten Friends Mixed Breed Rescue found out about her and immediately knew she deserved a chance. After being pulled from the shelter by the rescue, Ruthie got settled into a foster home. 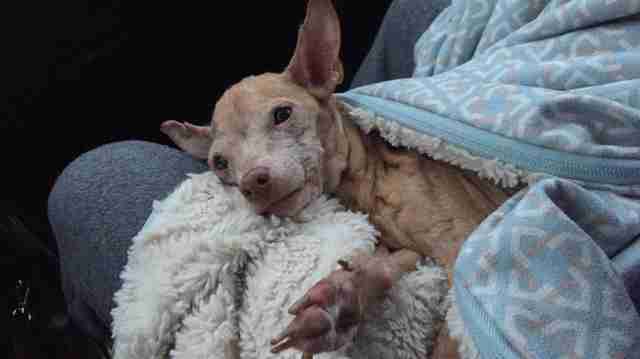 Her new friends at the rescue started tackling her many medical issues, including having her rotting teeth pulled. It’s often harder to find homes for senior animals, especially 16-year-old dogs, and yet it wasn’t long before the perfect family found out about Ruthie and fell in love with her. Jen Ramey and her husband were in the process of planning a birthday party for their dog Buttercup and decided to use the party to raise money for Forgotten Friends Mixed Breed Rescue. 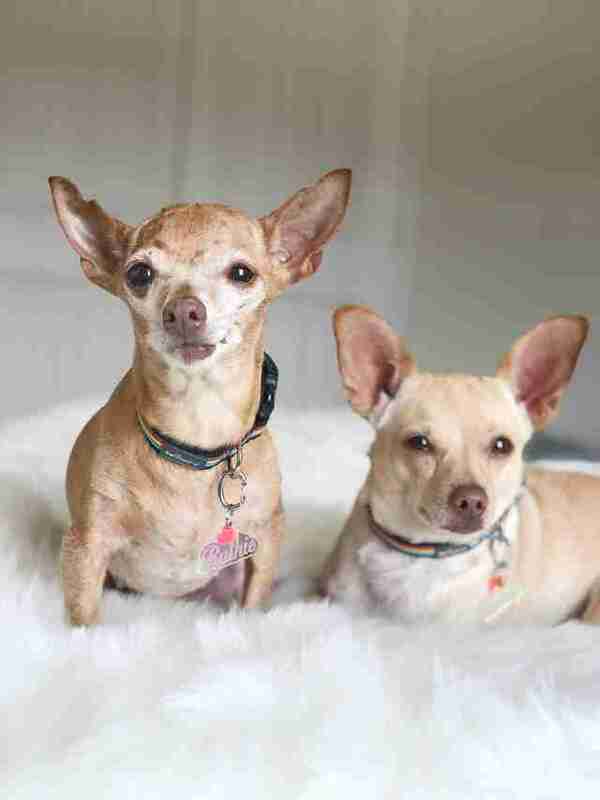 The rescue was planning on bringing some of its dogs to the party, including Ruthie, and as soon as the couple met the senior Chihuahua, they knew she was meant to be the newest member of their family. 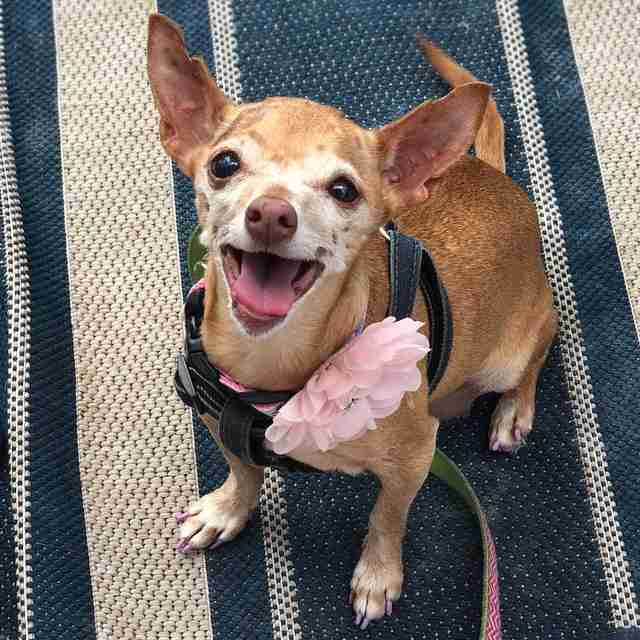 Ramey and her husband were aware of Ruthie’s medical issues, and were prepared to deal with them as well as all of the other challenges that come with adopting a senior dog. 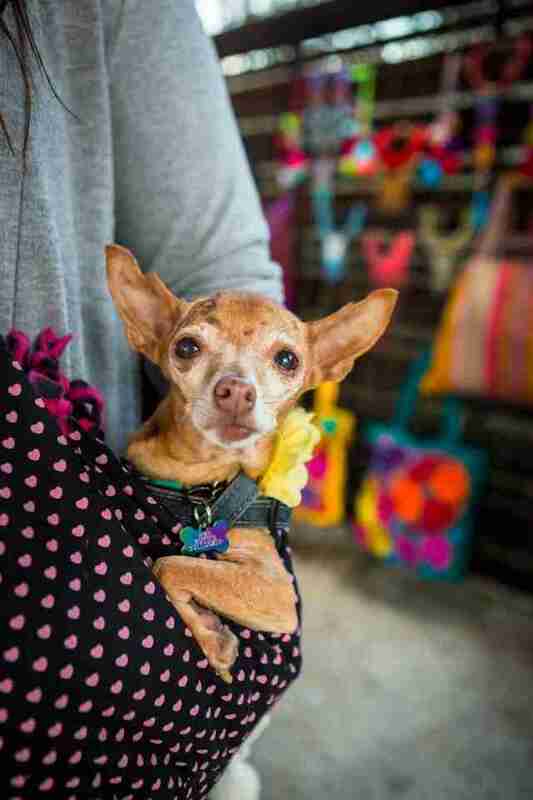 After all she’d been through and all she was dealing with medically, they assumed Ruthie would be the kind of senior dog who was incredibly mellow and just wanted to relax all the time — but as soon as she arrived in her new home, Ruthie was quick to prove them wrong. From the very beginning, Ruthie was full of energy, and had no problem keeping up with her much younger sister. She loves being involved in everything her family does and can’t stand being left out of things. She likes every person she meets, and wants nothing more than to be held, cuddled and adored by everyone around her. Ruthie’s overall condition has improved a lot since she was adopted, but she still has a lot of issues to deal with. She has trouble putting on weight and has suffered from a collapsed trachea. She also has scarred lungs from chronic bronchitis, inflamed airway disease and an inoperable inguinal hernia. None of this slows her down at all, though, and she doesn’t seem to know just how much she’s dealing with based on her happy-go-lucky personality. 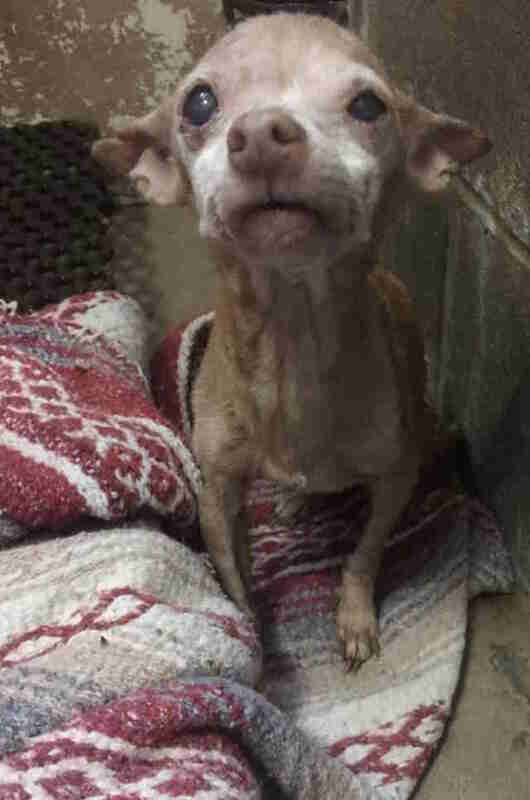 When Ruthie first arrived at the shelter, no one thought the 16-year-old dog was going to make it. Now she’s practically a puppy again, loving every minute of her new family and her second chance. You can follow Ruthie and her sister Buttercup on their Instagram account.